Teeth grinding and clenching is referred to as bruxism. It can happen as early as childhood, and once you’ve started, you’ll likely always have this condition, making it of utmost importance to protect your teeth. At Sea Brite Dental, we provide hard night guards to preserve your smile and relieve the pain involved with temporomandibular joint disorder (TMJ/TMD). Grinding your teeth is far from a harmless habit. It can lead to the wearing away of your enamel, leading to unsightly, short teeth, root canals, and more expensive procedures down the road. Bruxism can also cause major problems with headaches and pain in the neck, shoulders, jaw and face. Many people aren’t even aware that they grind their teeth. It’s only at their dental appointments when we spot the worn-down enamel, chipped edges or flattened teeth that are the usual indicators that they realize they have a problem. A common misconception is that tooth grinding is only related to stress. Bruxism is caused by many factors and can wax and wane with stress, but it is always there. Few grow out of this condition, but for those who don’t there are solutions to assist in long-term care for bruxism. Dr. Morris can have a particular appliance called a hard night guard fabricated as a bruxism treatment. It will be fitted ideally to your bite. When worn at night, the guard prevents further damage to your smile while taking pressure off your muscles and teeth to relieve your pain. If you take care of your night guard, it can last for 15-20 years, making it a small but worthy investment in your oral health. If you think that you might suffer from temporomandibular joint disorder, you’ve likely noticed signs like pain in the jaw, clicking and popping of the jaw or chronic headaches. The best place to start is with a hard night guard. If we don’t see the results we expect after you’ve been wearing it for a time, we’ll be happy to refer you to a specialist for treatment. Since that is the go-to solution if you visit a specialist first, we recommend you start with visiting our practice, and then we can refer you on if the need arises. 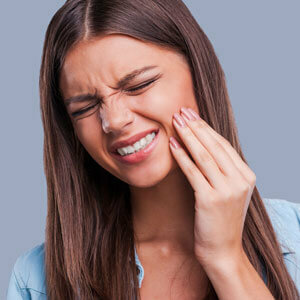 If you suspect that you may be grinding or clenching your teeth, we can help you. Contact our team today to schedule your first appointment!